When the seventh month came, and the Israelites were in the towns, the people gathered together in Jerusalem. Then Jeshua son of Jozadak, with his fellow priests, and Zerubbabel son of Shealtiel with his kin set out to build the altar of the God of Israel, to offer burnt offerings on it, as prescribed in the law of Moses the man of God. They set up the altar on its foundation, because they were in dread of the neighboring peoples, and they offered burnt offerings upon it to the LORD, morning and evening. And they kept the festival of booths, as prescribed, and offered the daily burnt offerings by number according to the ordinance, as required for each day, and after that the regular burnt offerings, the offerings at the new moon and at all the sacred festivals of the LORD, and the offerings of everyone who made a freewill offering to the LORD. From the first day of the seventh month they began to offer burnt offerings to the LORD. But the foundation of the temple of the LORD was not yet laid. So they gave money to the masons and the carpenters, and food, drink, and oil to the Sidonians and the Tyrians to bring cedar trees from Lebanon to the sea, to Joppa, according to the grant that they had from King Cyrus of Persia. In the second year after their arrival at the house of God at Jerusalem, in the second month, Zerubbabel son of Shealtiel and Jeshua son of Jozadak made a beginning, together with the rest of their people, the priests and the Levites and all who had come to Jerusalem from the captivity. They appointed the Levites, from twenty years old and upward, to have the oversight of the work on the house of the LORD. And Jeshua with his sons and his kin, and Kadmiel and his sons, Binnui and Hodaviah along with the sons of Henadad, the Levites, their sons and kin, together took charge of the workers in the house of God. When the builders laid the foundation of the temple of the LORD, the priests in their vestments were stationed to praise the LORD with trumpets, and the Levites, the sons of Asaph, with cymbals, according to the directions of King David of Israel; and they sang responsively, praising and giving thanks to the LORD, "For he is good, for his steadfast love endures forever toward Israel." And all the people responded with a great shout when they praised the LORD, because the foundation of the house of the LORD was laid. But many of the priests and Levites and heads of families, old people who had seen the first house on its foundations, wept with a loud voice when they saw this house, though many shouted aloud for joy, so that the people could not distinguish the sound of the joyful shout from the sound of the people's weeping, for the people shouted so loudly that the sound was heard far away. If Timothy comes, see that he has nothing to fear among you, for he is doing the work of the Lord just as I am; therefore let no one despise him. Send him on his way in peace, so that he may come to me; for I am expecting him with the brothers. Now concerning our brother Apollos, I strongly urged him to visit you with the other brothers, but he was not at all willing to come now. He will come when he has the opportunity. 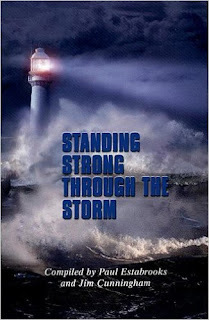 Keep alert, stand firm in your faith, be courageous, be strong. Let all that you do be done in love. Now, brothers and sisters, you know that members of the household of Stephanas were the first converts in Achaia, and they have devoted themselves to the service of the saints; I urge you to put yourselves at the service of such people, and of everyone who works and toils with them. I rejoice at the coming of Stephanas and Fortunatus and Achaicus, because they have made up for your absence; for they refreshed my spirit as well as yours. So give recognition to such persons. The churches of Asia send greetings. Aquila and Prisca, together with the church in their house, greet you warmly in the Lord. All the brothers and sisters send greetings. Greet one another with a holy kiss. I, Paul, write this greeting with my own hand. Let anyone be accursed who has no love for the Lord. Our Lord, come! The grace of the Lord Jesus be with you. My love be with all of you in Christ Jesus. Then they brought to him a demoniac who was blind and mute; and he cured him, so that the one who had been mute could speak and see. All the crowds were amazed and said, "Can this be the Son of David?" But when the Pharisees heard it, they said, "It is only by Beelzebul, the ruler of the demons, that this fellow casts out the demons." 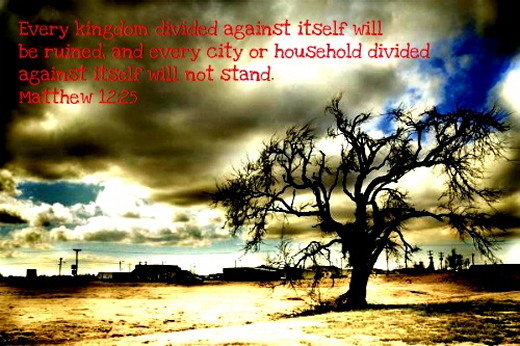 He knew what they were thinking and said to them, "Every kingdom divided against itself is laid waste, and no city or house divided against itself will stand. If Satan casts out Satan, he is divided against himself; how then will his kingdom stand? If I cast out demons by Beelzebul, by whom do your own exorcists cast them out? Therefore they will be your judges. But if it is by the Spirit of God that I cast out demons, then the kingdom of God has come to you. Or how can one enter a strong man's house and plunder his property, without first tying up the strong man? Then indeed the house can be plundered. Whoever is not with me is against me, and whoever does not gather with me scatters. Therefore I tell you, people will be forgiven for every sin and blasphemy, but blasphemy against the Spirit will not be forgiven. Whoever speaks a word against the Son of Man will be forgiven, but whoever speaks against the Holy Spirit will not be forgiven, either in this age or in the age to come. Holy God, I believe that you will change people and many things, if asked and if it is your will. Change me Lord, if it is your will, for I would lead a better life. Touch me, I pray, great God whose touch transforms. 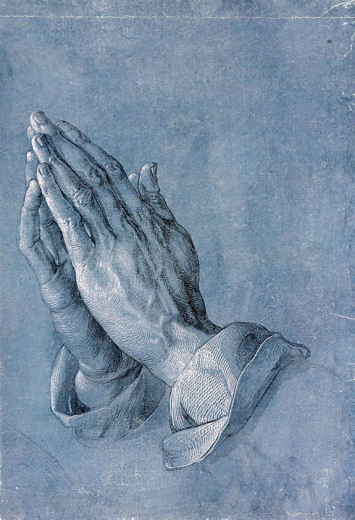 Reach out your mighty hand to me, and to all who seek you in the name of your Son. Heal us, transform us, and make us whole; reach out your mighty hand to lift us up to serve you; touch me and all of us this very day, O Lord, that our own hands may bring your hope and healing to this broken world. 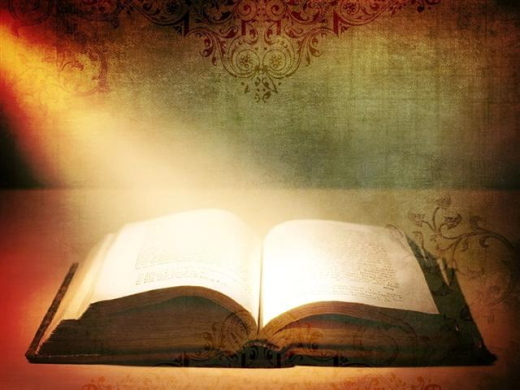 Hebrews 4:12 (NIV) For the word of God is alive and active. Sharper than any double-edged sword, it penetrates even to dividing soul and spirit, joints and marrow; it judges the thoughts and attitudes of the heart. Morning Devotions with Cap'n Kenny - Will He Still Forgive Us? Will He Still Forgive Us? "And not many days after, the younger son gathered all together, journeyed to a far country, and there wasted his possessions with prodigal living." Have you ever wondered whether God would forgive you or extend a second chance? Maybe you think that because of the sins you’ve committed perhaps you have gone too far. Jesus told the story of the prodigal son who ran away from home. He took the money he received through his inheritance and squandered it on prostitutes and parties. Then, after the money ran out and his friends went away, the prodigal came to his senses and returned home. He was graciously welcomed back and forgiven by his father. Jesus told this story to give us a picture of God. We are like that prodigal who has run away from God. But if we will turn from our sin and return to Him, He will forgive us. But what if, after a few months of being home, the prodigal son got tired of hanging around with his dad and told him, “I’m leaving again.” Let’s say that he went out and did the same things again and then returned home. Do you think his father would have forgiven him a second time? Yes. But let’s say he went out a third time and did it again. Do you think the prodigal would have been forgiven a third time? Yes. What if he did it a fourth time? What if he did it a fifteenth time? Would he have been forgiven? Yes, yes, and yes. In the same way, we might ask, “If we sin against God, will He forgive us?” Absolutely. What if we’ve blown it more than once? Will He still forgive us? Yes. He will forgive us again, and again, and again. No matter what you have done, no matter what sins you have committed, God stands ready to forgive you if you will come to Him. We might think we've passed the point of no return with God. But have we? Por tanto, lo que Dios ha unido, que no lo separe el hombre. El divorcio es un tema que me causa mucho dolor. En mi caso, me resulta muy triste debido a que he pasado por dos divorcios que me dolieron por varios años. En realidad, esto es traumático en gran medida y lo lamentable es que los más afectados son los niños. En el primero, no conocía de Dios y no había principios, ni respeto. Incluso, llegué a vivir los primeros pasos de la violencia doméstica. En el segundo, fue más triste aun porque se trataba de una boda cristiana donde el amor no fue suficiente para lidiar con los problemas y nos dejamos llevar por el orgullo. De estas dos experiencias aprendí que casarse no era cuestión de emoción, sino que es una decisión muy seria. Por lo tanto, Dios debe ser el que nos escoja esa pareja. En la Biblia, Él nos dice que la única ocasión en la que aprueba el divorcio es cuando ha habido adulterio. Mi consejo es que si no estás en esta situación y solo te empeñas en divorciarte porque crees que todo está perdido, dale una oportunidad a Dios para restaurar tu hogar. Recuerda, Él tiene la última palabra. As I entered the house, I surprised to observe the humble existence of these two mighty men of God. They were the leaders of house churches in their provinces, which had grown the past nine years to more than 200,000 Christians. They were both in their late twenties and even though they have been in the ministry since they were nineteen their enthusiasm reflected beautifully. Everybody knew about the work of the Lord through these faithful servants. I also knew that they both spent several years in prison in extremely harsh conditions, but nothing prepared me for this humble home and modest lifestyle. There were no furniture items, no ornaments, and no beds in the small house. Their clothes were hanging on the wall due to a lack of cupboards. The only furniture was a table and a chair to sit on. There was a blanket on the ground that was obviously used as the bed. Together we sat down and I started questioning them about their activities and work that was bearing much fruit. “How often do you travel to neighbouring villages?” I asked. “As often as possible,” they replied. RESPONSE: Today I will not complain about what I lack but think of what I can sacrifice for Jesus. PRAYER: Lord, I reaffirm today my decision to follow You. I give You everything I am and have. We hope you are enjoying the Girlfriends in God daily devotions. We (Mary, Sharon, and Gwen) would like to introduce you to some of our special friends. From time-to-time, the Friday devotions will be written by one of our friends in ministry. We call them our “Friday Friends.” So grab your Bible and a fresh cup of coffee and drink in the words from our “Friday Friend,” Erin Odom. God doesn’t promise us a life of health, wealth, and prosperity. To the contrary, Jesus told His disciples that in this world we would have trouble. But He didn’t stop there: He reminded them that He overcame the world. Several years ago, my family walked through a period of extreme financial frustration. Month after month, we saw our savings dwindle and our bank account diminishing. We felt like we were barely surviving financially, emotionally, and even spiritually at some points. 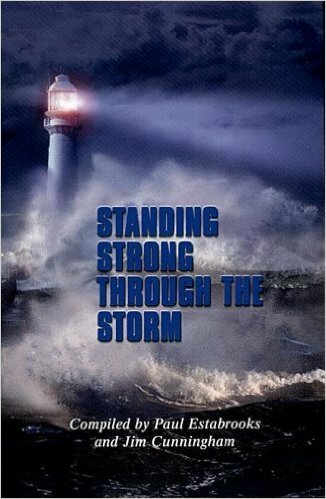 But it was during that troublesome and turbulent time that God pointed us to Himself and the promise that He has overcome the world—despite the troubles we encounter in it. He also showed us very clearly that He is the Great Provider of all our needs. No, we will not have perfect, trouble-free lives on this earth, but God has promised to provide exactly what we need, when we need it. His provision might not always look like we would imagine or what we would pick out for ourselves, but it’s exactly what He knows is best. I clearly remember when there seemed to be no light at the end of the tunnel. I thought life would never get better. We would never be able to breathe. And we would always barely be making it. The humility of our season of trouble brought me face-to-face with real need, and real provision. More than anything, our time in the tunnel tuned our hearts to God’s. We failed to acknowledge or appreciate the Lord’s provision when it seemed we were meeting all of our own needs, when we had enough money for excess. But when every penny counted, when our budget never made sense on paper, when we had cents instead of dollars in our bank account at the end of the month, that was when we learned that only God is the provider of all of our needs. Are you there now, friend? You don’t see a way out. Hope is dim. There is no light. Are you stumbling around in the fog? Is the tunnel still dark? Yes, we will have trouble in this world, but, through Him, we can overcome them. With the right attitude and perspective, we can look back on a season of troubling times as some of the most faith-building days of our lives. Dear Lord, You never pretended that we wouldn’t have trouble in this world, but You left us with the promise that You have overcome the world. Help us to recognize your provision—whether it is financial, emotional, or spiritual provision—in our lives. Lead us to worship You during difficult seasons, and teach us that, through You, we can overcome whatever challenges we face each day. Today, when you are tempted to get frustrated at circumstances beyond your control, think back to how Jesus warned us that we would have trouble in this world. Thank Him for overcoming the world, and pray that He can help you do the same. Erin Odom is the founder of The Humbled Homemaker, a blog dedicated to grace-filled living designed to equip and encourage mothers in the trenches. Erin and her husband, Will, live in the South where they raise their four children. Erin’s new book, More Than Just Making It: Hope for the Heart of the Financially Frustrated, is part memoir, part practical how-to that reads like a novel. Are you struggling with contentment or even stuck in a cycle of financial frustration? You’re not alone. In More Than Just Making It, Erin Odom tells the story of her family’s breaking point, as well as their comeback. It took hard work, creativity and faith in God’s provision to reset their bank account as well as their hearts. You can do the same. Learn how to rise above your circumstances with money-saving tips, and reimagine the good life as God designed it, outside the myth of the American Dream. 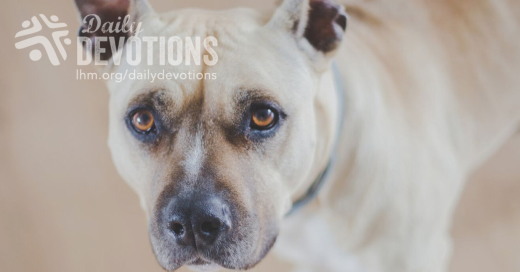 LHM Daily Devotion - October 27, 2017 "Ruthless Love"
(Jesus said) "This is My commandment, that you love one another as I have loved you. Greater love has no one than this that someone lay down his life for his friends. You are My friends if you do what I command you." In January of 1978, Florida newspapers carried the story of James Michael Harper of Tampa. Harper was playing with his puppy on a train trestle over the Hillsborough River. The puppy got loose and Harper saw a train coming. He was determined to save his dog. The dog was saved, but the train ran over Harper. No, he didn't die, but he lost both legs -- for a puppy. What kind of love would motivate a boy to run the risk of dying so a puppy might live? Would you do it? Be honest. Would you do it? No, of course you wouldn't. If you had been there, you would have held Harper back. We know that no dog, no matter how well trained, no matter how pure his bloodlines, is worth the legs or life of a boy. But Harper didn't see it that way. That's because he loved with what I call a ruthless love. Ruthless love may be a new concept to you. We can understand motherly love that makes endless sacrifices. We can comprehend a soldier's willingness to sacrifice for his country. But to die for a dog? That's hard for us to grasp. That kind of love is ruthless. Ruthless love sweeps to the side anything and everything that stands in the way of completion. Ruthless love doesn't count cost, ask questions, or consider consequences. Ruthless love is single-minded in its purpose and cannot be diverted in its direction. Would you like to know more about ruthless love? Listen to the words Paul wrote to the church in Rome: "God demonstrates His own love for us in this: "While we were still sinners, Christ died for us'"(Romans 5:8). That's ruthless love. After the first six days of creation, our perfect God did a survey and saw everything He had made was, well, perfect. The trees were perfect. The fish were perfect. The birds were perfect. The reptiles were perfect. The people were perfect. There was no asthma, cancer, colds, coughs, plague, or malaria. There were no tears, sadness, loneliness, depression, or death. There were no oil spills, terrorists, child pornographers, drug dealers, floods, or flat tires. All was as it was supposed to be, and God's verdict: it was all very, "very good" (see Genesis 1:31). And then we messed up everything and sinned. It was an act of supreme disobedience and should have been punished with a supreme punishment. Instead of destroying our race at that moment, the Lord decided to send His Son to pay the ransom price for our souls. That was ruthless love. 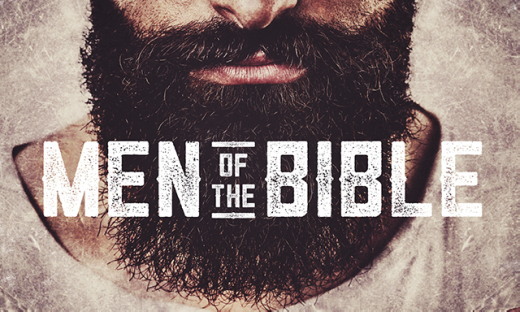 Read through the Gospels and you will see Jesus, on every page, showing ruthless love. He becomes friend to the lonely and healer to those who are sick. He is educator, miracle worker, and Savior. The offering of His life on the cross is ruthless love, which offers the life of God's Son to procure forgiveness for the guilty. It is this ruthless love that saves our souls. THE PRAYER: Lord, grant that I may be blessed with a love which, as much as I am able, reflects the ruthless love Jesus has shown to me. This I pray in Jesus' Name. Amen. Jesús tomó entonces los cinco panes y los dos pescados, y levantando los ojos al cielo los bendijo. Luego partió los panes y se los dio a sus discípulos para que los repartieran entre la gente, y también repartió entre todos los dos pescados. A todos nos preocupa la economía de nuestros países. Hoy es común que se hable de recesión y estancamiento, lo que puede traernos la pérdida de nuestro empleo o de nuestra vivienda. Estamos tan concentrados en estos problemas, que con frecuencia olvidamos que nuestro Señor Jesucristo prometió no darnos cargas más pesadas de las que podríamos llevar. Él también nos dijo que le pidamos lo que necesitemos, y que él nos lo dará. Dios es tan bondadoso y amoroso, que nos brinda muchas oportunidades para que nos acerquemos a él. Pero nosotros, por causa de nuestra ceguera espiritual y nuestra falta de fe, muchas veces las dejamos pasar, aumentando aún más las preocupaciones diarias. El Señor nos ha dicho que seamos como las aves que, aún cuando no se preocupan por el mañana, nunca dejan de comer ni de recibir abrigo. Aprendamos a confiar en que nuestro Señor siempre nos va a proveer todo lo que necesitamos. Él siempre va a estar entre nosotros como lo ha prometido y, si confiamos en él como nuestro Salvador, se va a hacer cargo de nuestras preocupaciones y nos va a dar la capacidad necesaria para enfrentar los problemas con sabiduría, pues para Dios nada es imposible. ORACIÓN: Padre celestial, te pido que me guíes en estos momentos difíciles. Pongo mis problemas en tus manos, y confío que las aflicciones del tiempo presente no son nada comparadas con la gloria que tú nos prometes. Quiero alabarte y glorificarte a través de tu amado Hijo, nuestro Señor Jesucristo. Amén. Biografía del autor: Citia Karina es maestra de escuela primaria que colabora como voluntaria en las oficinas de Cristo Para Todas Las Naciones en Nicaragua, enseñando la Biblia a niños y jóvenes.